Another very old Naushad effort. 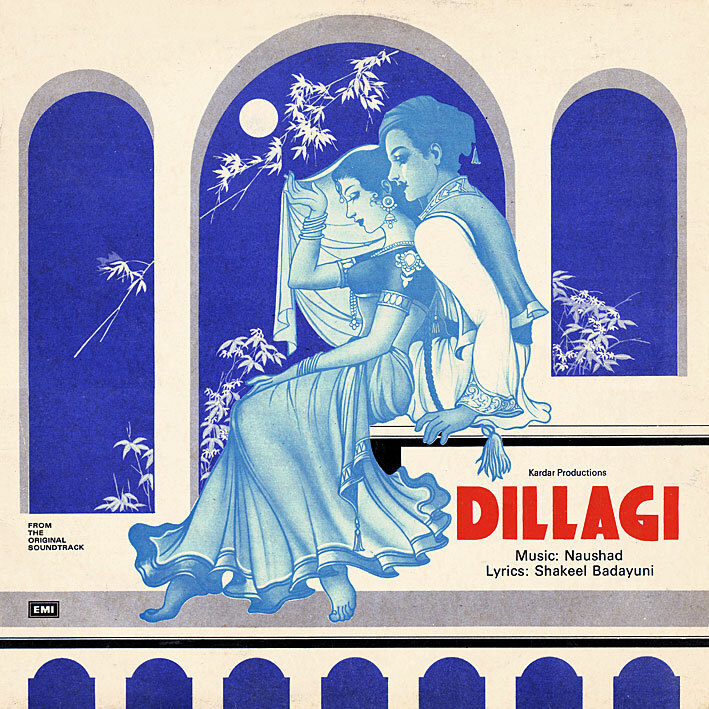 'Dillagi' is hardly in my top anything - I don't think the melodies are strong enough - but the general mood is quite nice. As are some of the instrumental details. Best track is the opening 'Too Mera Chand' with its shuffling rhythm, cool piano bits and flute... sounding almost like a (vocal) precursor to the recurring theme on Kalyaniji Anandji's 'Dharmatma'. Well worth a listen. Also; and while I'd never say a bad word about Lata or Asha, it is kind of refreshing with a female playback singer sounding decidedly different for a change. From what I can recall, this is the only soundtrack I have that features Suraiya. (In fact, she starred in the film as well). Maybe it is just me, but I think that young Lata and young Asha sounded different from the way they did later, let's say by the 1960s, when both were firmly established in their careers. It's very young Rafi I look forward to hearing here, though. I'll have to say this is one of my favorites OST I've downloaded from you. I'm alone on this, I think, maybe that's because it reminds me so much a la copla española!